The POPSUGAR Must Have Box February 2016 box inspiration has been revealed. The February 2016 POPSUGAR Must Have Box was inspired by: “Adoring. Indulgent. Confident. 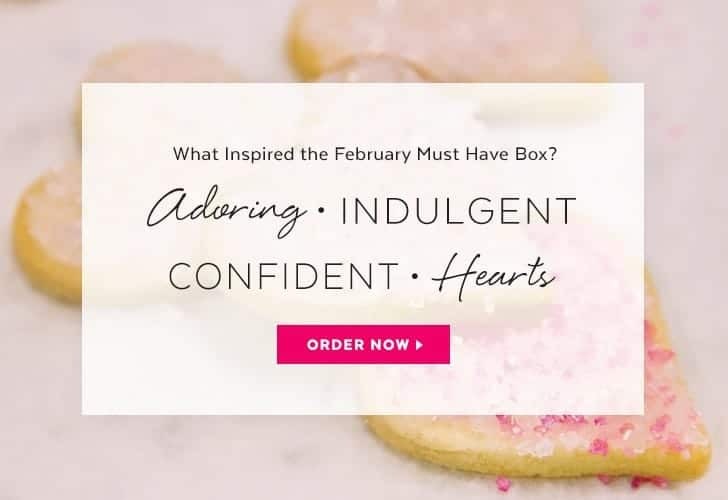 Hearts.” The February Must Have box will include $100+ worth of hot product picks from home, beauty, fashion, and more. Whether you’re looking to treat yourself or someone special, we could all use a little extra love this time of year. While we’re not revealing any of the products inside, here are a few hints at what inspired our editors for the February Must Have box. It definitely sounds like there’s a Valentine’s Day themed item in the box and possibly a delicious edible. Are you excited for the February POPSUGAR Must Have Box? What do you think is in the box? Join POPSUGAR Must Have today to reserve your February POPSUGAR Must Have Box. POPSUGAR has shared TWO box spoilers for the February POPSUGAR Must Have Box. The February Must Have Box includes Coconut Milk Hydrating Body Lotion and a $20 Reward Card from Victoria’s Secret.